for they proceed from evil to evil, and they do not know me, says the LORD. for all your kin are supplanters, and every neighbor goes around like a slanderer. 6 Oppression upon oppression, deceit upon deceit! I will now refine and test them, for what else can I do with my sinful people? 8 Their tongue is a deadly arrow; it speaks deceit through the mouth. and I will make the towns of Judah a desolation, without inhabitant. 12 Who is wise enough to understand this? To whom has the mouth of the LORD spoken, so that they may declare it? Why is the land ruined and laid waste like a wilderness, so that no one passes through? 13 And the LORD says: Because they have forsaken my law that I set before them, and have not obeyed my voice, or walked in accordance with it, 14 but have stubbornly followed their own hearts and have gone after the Baals, as their ancestors taught them. 15 Therefore thus says the LORD of hosts, the God of Israel: I am feeding this people with wormwood, and giving them poisonous water to drink. 16 I will scatter them among nations that neither they nor their ancestors have known; and I will send the sword after them, until I have consumed them. 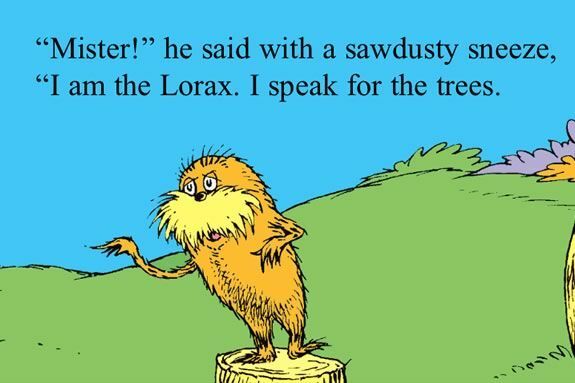 In Dr. Seuss’ The Lorax the words of the Lorax are ignored by the Onceler and the effects of the Onceler’s actions are felt by the birds of the air and the animals of the field. Human action becomes tied to the well being of the earth and animals-and this is a very biblical thought. Within Jeremiah it is not only the people of Israel who will suffer for their inability to live in harmony with vision of shalom, it is the mountain and the wilderness and the pastures that are also laid waste (which the pastures and fields would be devastated by an invasion and forests become converted to siege engines), cattle and birds become the food for the invading army as well as the people fleeing the fight and the only animals that remain are the scavengers. Although this is a very dark view of the coming days for Jeremiah’s people it also reflects both the reality of warfare of that time and this connection between the faithfulness of God’s people and the well being of the earth. It is also interesting that the primary thing lifted up as the cause at this point is falsehood, deception and lies. Either God or the prophet (or both) wish there is someplace else they could go away from this people because trust has been broken and now nothing that is said is able to be trusted. Lies, in the prophets words, have become a game where people intentionally lie to one another and yet in a world of speaking points and zingers I sometimes wonder what happened to truthful speech. In a world where fear often makes truthful speech difficult (particularly around any controversial issue) Oftentimes the lies that cover up an action cause as much or more damage to trust as the action itself and they poison the waters of a relationship. Between God and God’s people the waters of the relationship have been poisoned and it is reaching for a painful (for both parties) ending. teach to your daughters a dirge, and each to her neighbor a lament. 23 Thus says the LORD: Do not let the wise boast in their wisdom, do not let the mighty boast in their might, do not let the wealthy boast in their wealth; 24 but let those who boast boast in this, that they understand and know me, that I am the LORD; I act with steadfast love, justice, and righteousness in the earth, for in these things I delight, says the LORD. 25 The days are surely coming, says the LORD, when I will attend to all those who are circumcised only in the foreskin: 26 Egypt, Judah, Edom, the Ammonites, Moab, and all those with shaven temples who live in the desert. For all these nations are uncircumcised, and all the house of Israel is uncircumcised in heart. An invocation of the rituals of death is what is called for in the disaster to come, but there aren’t enough people to cover the process of mourning. In our own situation it would be likened to a situation where there are not enough funeral directors, counselors, pastors and others to lead the funerals and so others are having to learn how to lead the mourning. 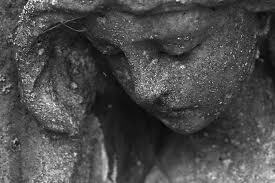 In the ancient world, mourning was women’s work and the public display of grief was a way in which the dead were honored (which for most of us is a foreign concept-many of the Lutheran funerals I preside over the family members ‘bravely hold back tears’). But here we have a situation so dire that there are not enough mourners to go around and so the daughters of the survivors are all taught their identity as wailing women, and mourners, as those who give voice to the pain of death. They are entering a time where bodies once honored cover the ground like the sheaves of wheat after a harvest or like the excrement in a cattle pen. Death enters from every direction and is all around, coming into the home, the public spaces and it doesn’t discriminate between children, the young adults or the elderly. Life may continue but it is ringed round by death. 16 I said to myself, “I have acquired great wisdom, surpassing all who were over Jerusalem before me; and my mind has had great experience of wisdom and knowledge.” 17 And I applied my mind to know wisdom and to know madness and folly. I perceived that this also is but a chasing after wind. “Come now, I will make a test of pleasure; enjoy yourself.” But again, this also was vanity. 2 I said of laughter, “It is mad,” and of pleasure, “What use is it?” 3 I searched with my mind how to cheer my body with wine– my mind still guiding me with wisdom– and how to lay hold on folly, until I might see what was good for mortals to do under heaven during the few days of their life. 4 I made great works; I built houses and planted vineyards for myself; 5 I made myself gardens and parks, and planted in them all kinds of fruit trees. 6 I made myself pools from which to water the forest of growing trees. 7 I bought male and female slaves, and had slaves who were born in my house; I also had great possessions of herds and flocks, more than any who had been before me in Jerusalem. 8 I also gathered for myself silver and gold and the treasure of kings and of the provinces; I got singers, both men and women, and delights of the flesh, and many concubines. Surface rituals are not leading the people to a practice of steadfast love, justice and righteousness, instead they have substituted what Brueggemann refers to as ‘surface rituals’ (Brueggemann 1998, 101)and what God is seeking is not a mark on the flesh but a transformation of the heart, which God will promise later in the book of Jeremiah.